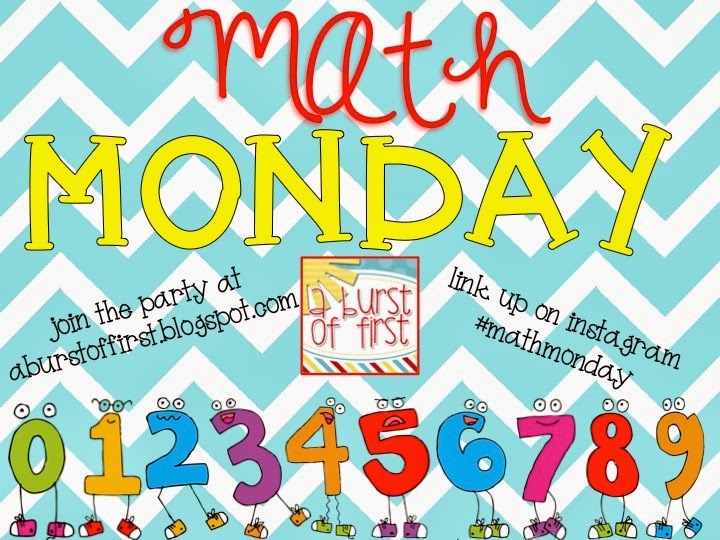 I’m linking up with A Burst of First for the first Math Monday. I recently downloaded old pictures from my iPad and realized that I never blogged about my favorite math/science activity. My first year teaching I was introduced to a pumpkin packet of math and science activities. The pages were hand written, but the content was fantastic. My third grade partner had been doing the project for years and she had it down to an art. Students were estimating and measuring height, circumference, and mass with/without the guts. My students sliced the pumpkins with a ruler while I was out of the room and then tried to attack my teaching assistant. I’ve learned a lot since then! For years I’ve had each student send in a pumpkin. (Here is a rough idea of the form I send home) I also have parent volunteers come in to help gut the pumpkins. This is the type of project that parents at my school love. I typically start the students whole group. Each student names his/her pumpkin. We find the mass of all the pumpkins and record the information on a table and then a graph. From here each group works on a different part of the packet. I usually stay inside and help with height, circumference, vertical lines, and classifying/ordering the pumpkins. I send my fantastic parent volunteers outside. They do the sink/float test before gutting the pumpkins. We don’t carve – just gut them in the name of science. It is amazing to me how many third graders have never seen the inside of a pumpkin. We find the mass of the gutted pumpkins and record all the data. As you might imagine, I’ve updated the old pumpkin packet. It includes pumpkin life cycle, physical properties, and all the measurements mentioned above. The packet is available in my TpT store. It really is one of my all time favorite projects. I am still trying to figure out how to adapt the idea in my new role. We’ll see how that goes! I’m going to leave you with some pumpkin love. 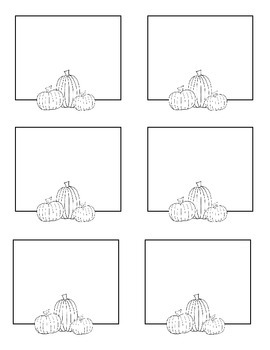 Click the picture below to download these fun free pumpkin note cards. I’m also going to e-mail a free copy of my Pumpkin Packet to anyone who can correctly guess how many pumpkins my little family of four has purchased so far this year. This offer is good through Sunday, October 20, 2013. I am so excited to do a version of this with my first graders next week. Hmm... I'm going to guess 13? Love your math and science activities! 1/2 of my class looped with me this year so I was looking for some fresh new pumpkin ideas. Love the idea of classifying/sorting/ using the pumpkins as a group! This looks like so much fun! I bet it one of those activities that kids remember forever! I so appreciate you linking up. You are a WAY nicer person than me - the idea of stinky pumpkins in my classroom is enough to throw me over the edge! However, I'm sure the kids love it and it's totally worth the stinky classroom :) Awesome ideas! !